Brand advertisers have leveraged the affinity for TV programs to boost fan engagement as millions of fans log into their favorite program and Tweet about it. While most of the Twitter conversation takes place during the airing of the show, there is significant conversation that takes place post the airing and during the build-up stage. 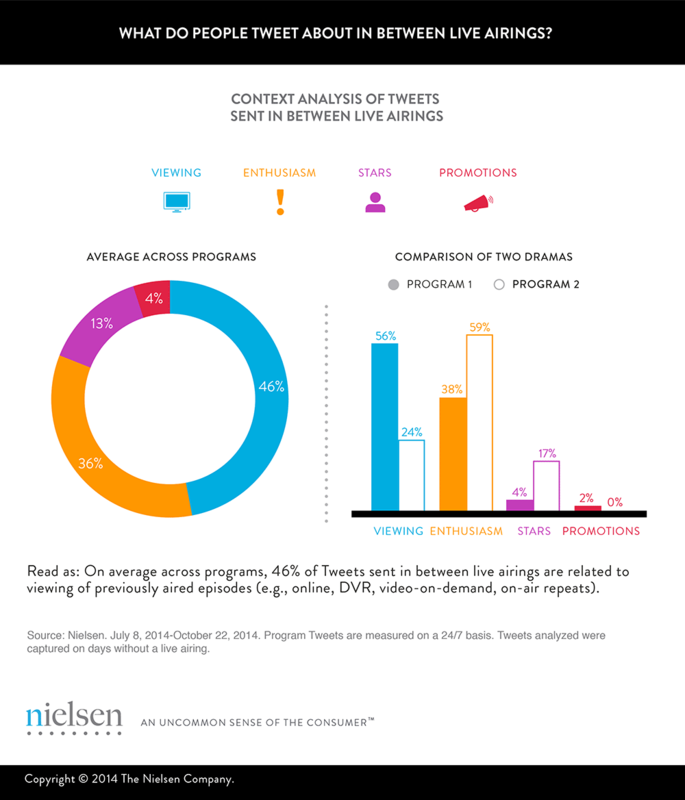 Nielsen Social has tracked and analyzed 24/7 Twitter TV activity around 72 weekly broadcast and cable series programs in August and September 2014. 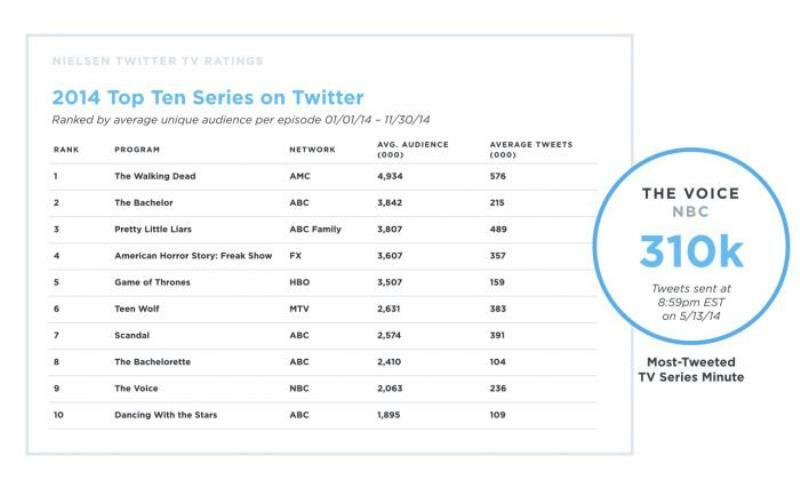 Nielsen Social has earlier shared reports that indicate a very strong correlation between the TV Ratings and the Tweet activity for the show. The context for conversation is important to understand the level of interest generated with the Twitter conversation, outside the live airing. The analysis of Tweets between these thematic categories varies across programs. 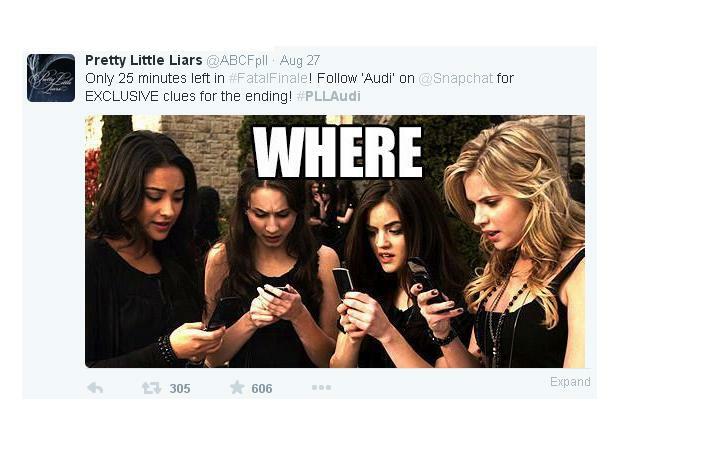 According to the report, the Social TV can benefit Brands during the live airing as well as in- between the airings. Brands seeking to engage with audiences through their favorite TV shows need to understand the genre of advertising as reality shows tend to gain maximum engagement during the live airings. To leverage the different programs, brands need to understand the level of interest the shows generate to arrive at the right Twitter Conversation as some programs generate a higher share of Tweets during Live airing while others generated a higher share of Tweets related to program enthusiasm and star-related discussion. 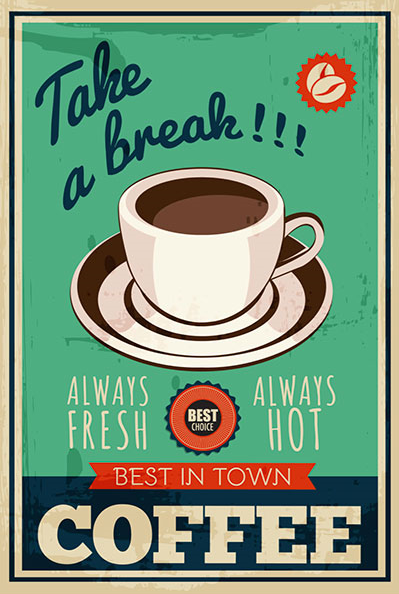 Posted in Advertising, Consumer Engagement, Insights, Social Media. Tagged advertising, Nielsen, Nielsen Social, Social TV, Twitter, Twitter TV, Twitter TV Ratings.